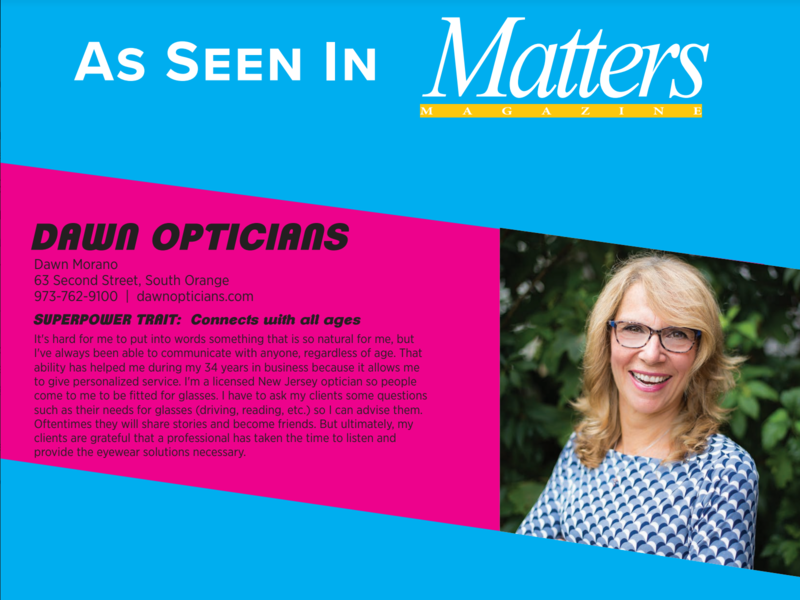 Dawn Morano, NJ Licensed Optician and owner of Dawn Opticians, has been proudly serving South Orange for over 34 years. Dawn has routinely displayed the dedication and devotion needed to be a success. Dawn Opticians is a full service optical company providing the finest in quality eyewear. 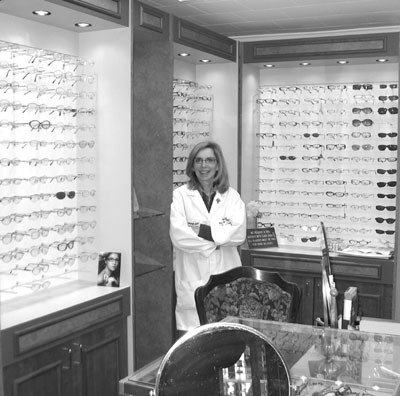 Our experienced staff will assist you in finding frames to fit your face, style and budget. Eye exams are carefully administered by our staff of Independent Doctors of Optometry. An on-site laboratory houses the latest in lens technology. At Dawn Opticians, we ensure the highest standards, personalized service and quick turnaround for our customers.